Technologically, my communication skills have been strengthened because I ask questions about Final Cut Pro to ensure that I am editing my videos to the best of my ability. Also, when I conduct interviews, I use a recorder and lavaliere microphone. This has helped me strengthen my communication skills because I talk with the interviewee about how they should hold the microphone or where to place it on their shirt. These interviews have helped me get to know the people that I interview more. My visual communication skills have been strengthened throughout this whole class. I learned how to tell the audience a story using visuals. I communicate with my interviewees telling them that I will be filming them while they are doing a task. I explain to them that I will be demonstrating the five shot rule. I make sure that I am able to communicate with them what the five shot rule is and how that will help me tell their story to the audience. This has all helped me improve my communication skills with other people and make sure that I am communicating the story in the video and pictures effectively. I also have to make sure that my captions are able tell the audience who is in the picture and what is going on in the picture. My communication skills have strengthened interpersonally. My skills have strengthened because I have been able to approach people and ask them if they would be willing to do an interview with me. Then, I stay in contact with them and we compare schedules. After we compared schedules, we decided on when and where we are going to meet for the interview. I also explain to them what is going to happen during the interview. I also ask them if they have any questions about the interview and filming process. This communication with the interviewees has helped my communication skills a lot. It is important to know how to communicate with others and to listen when they communicate with me. Zenon Perez, a Mathematics major and senior at St. Mary’s University, talks about who can join the St. Mary’s Chapel Choir. He also explains his duties as a student conductor for the Chapel Choir. Special thanks to Zenon Perez and the St. Mary’s Chapel Choir. 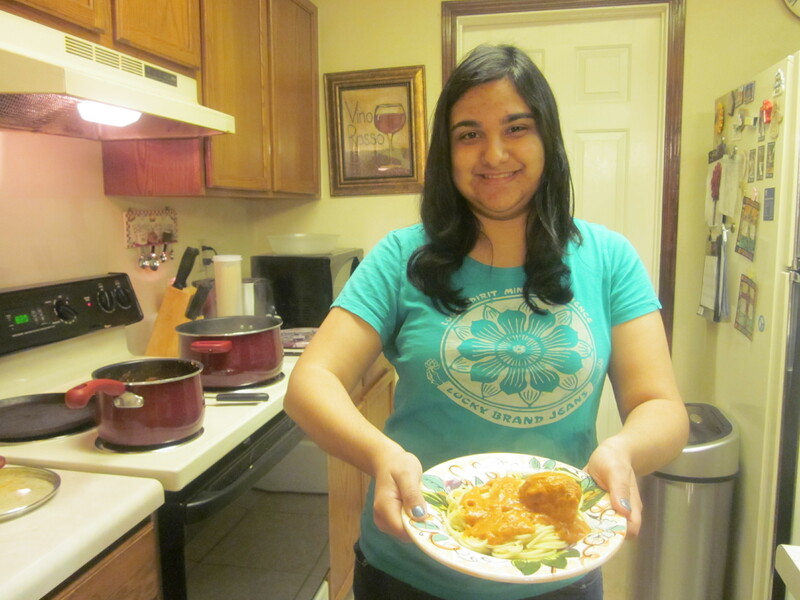 Bianca Pardo, an English Communication Arts major and Sophomore student, talks about when she first began to cook while she makes spaghetti and meatballs. Begin making the Spaghetti and Meatballs by adding the pound of ground beef, egg, oatmeal, salt, pepper and water to a bowl. Then mix all these ingredients together. Next, role the ingredients into medium sized balls. Put them into a pot and cook till well done. 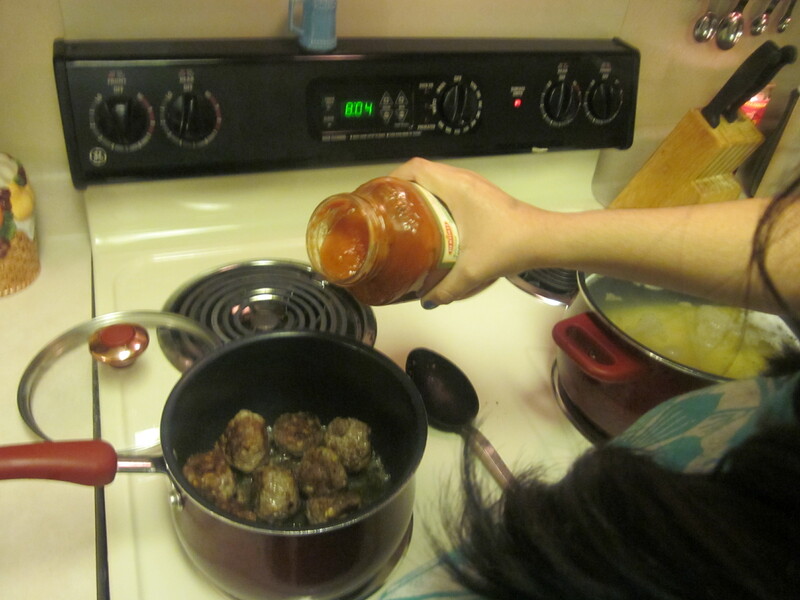 It will probably take about 25-30 minutes until meatballs are well done. Then add water to a pot and add in the spaghetti noodles. Cook noodles until they soften. Next, warm up the spaghetti sauce in a saucepan and add the cream cheese. Julie Baker, a junior majoring in Forensic Chemistry and student proctor at St. Mary’s University, goes above and beyond to help the students understand their labs. 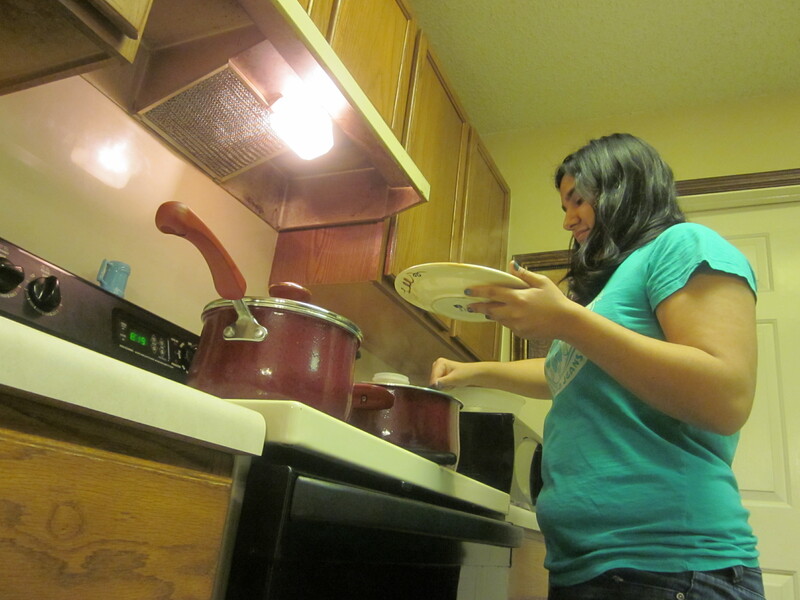 She goes through her routine of working as a proctor. 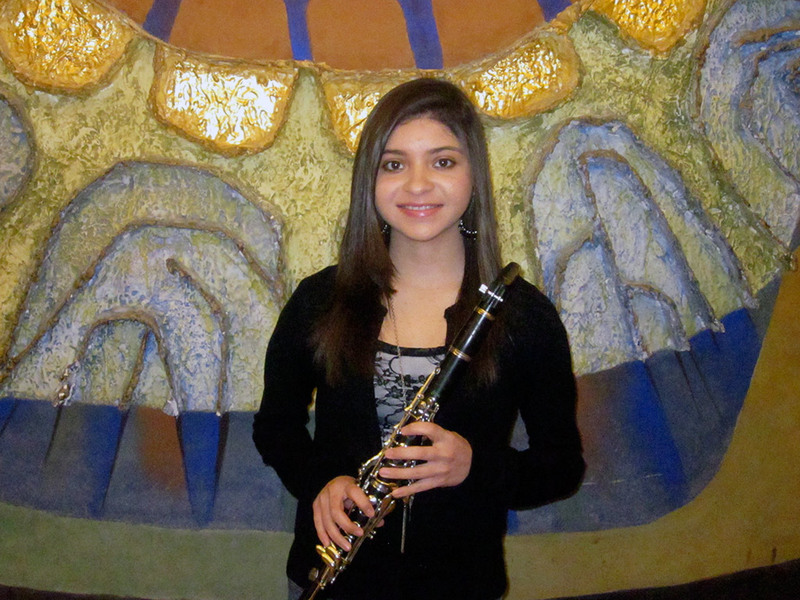 Wendy Araujo a senior Music Education major talks about the importance of practicing her clarinet in the practice room. 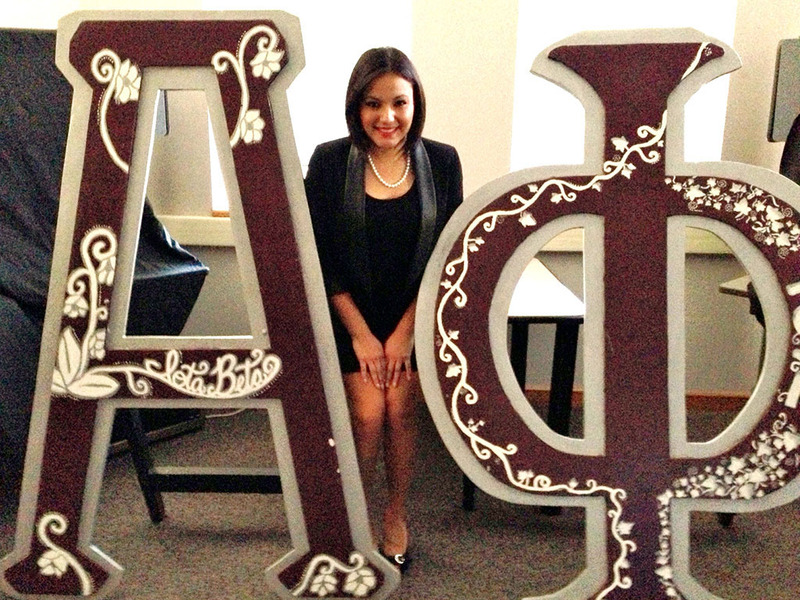 Bianca Soto talks about her helpful Alpha Phi sisters and how they encouraged her to become an English Communication Arts major. Through this major she discovered that she wants to open her own public relations firm. I am excited about this semester. It is hard to believe how quickly the previous semesters have gone by. This semester is already off to a busy start! I am most excited that I will be able to learn more about Final Cut Pro. It is going to be an amazing adventure as I get to become more comfortable with the different programs. I am also looking forward to learning how to use Soundslides. Even though I am excited about learning Final Cut Pro, I think one of my biggest challenges is going to be learning how to use the program because I have not worked that much with the program. I also think editing digital files is going to be a challenge. This course is going to help me learn software that will be part of my professional career. 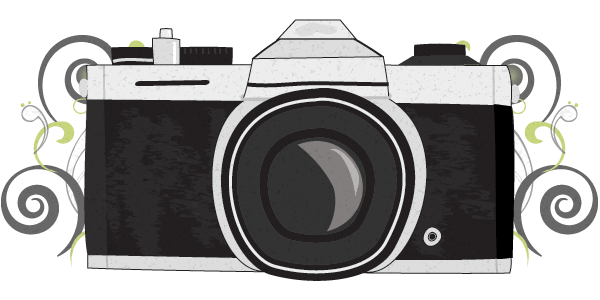 I want to design layouts and use photography skills I am thankful that I have the opportunity to attend St. Mary’s University and take this course. I am hopeful that I can learn how to become proficient in Final Cut Pro and Adobe Photoshop. I know that this course is going to help me move closer to my desired profession. Back Row: Gilbert, William W., Bell, Bria T, Valles, Jessica, Navarro, Steven A. Middle Row: Me, Zepeda, Richard, Nicholson, Zachary T., Canedo, Nicholas, R.
Front Row: Diaz, Alejandra, Soto, Bianca J. This site is for my media class.